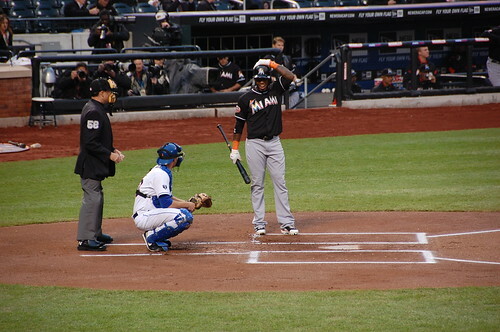 My first game of the year was, not coincidentally, Reyes’ first appearance in New York City. Some people behaved well; some people behaved stupidly. 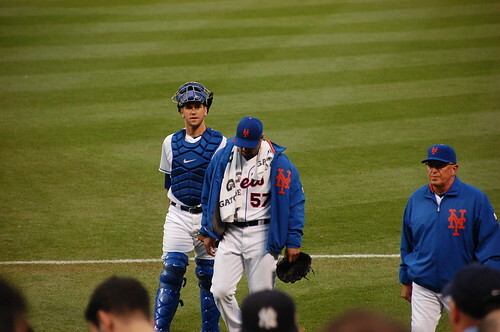 Most importantly, Johan Santana pitched an absolute gem, and despite that, the Mets managed to win the game. Since we don’t have a plan and we’re not going to a lot of games this year, we splurged on good seats for tonight. It was nice to be on the field level for this game, although I have to say that in future we need to avoid sitting behind the dugout. I cannot deal with the incessant clamoring for balls. At the end of every inning when I’m trying to watch the players come back to the dugout or get some photographs, there is a massive wall of people in front of me. There seems to be some rule that the closer you get to home plate, the dumber people get, and the more casual fans around you. 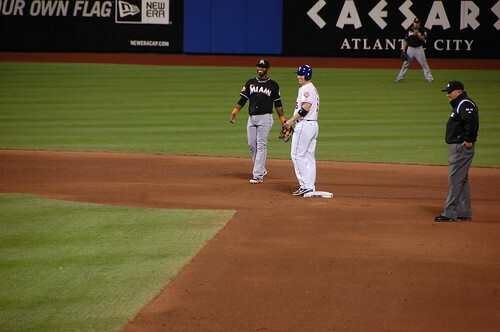 After booing the Reyes tribute, the casual fans behind us didn’t have much to say when I asked if they didn’t like to get a raise at work and did they not think that Jose Reyes played well for us while he was here. They had to agree that, yes, well, he sure did. People waving $20 bills at Reyes. TBF yells “YOU DO UNDERSTAND HE WASN’T OFFERED A CONTRACT, MORONS?” gets applause. There was more applause early in the game, more than I expected, or maybe less booing than I expected. 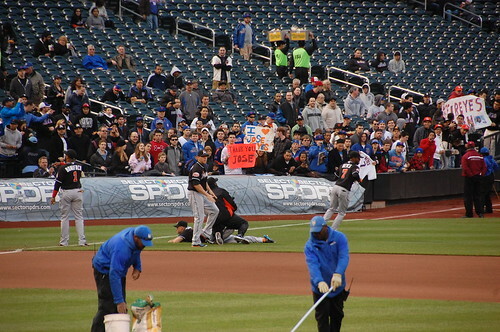 I was thoroughly disgusted at the media narrative at how “deserted” Citi Field was. I’ve had a plan that involved Tuesday games in some fashion since 2006. 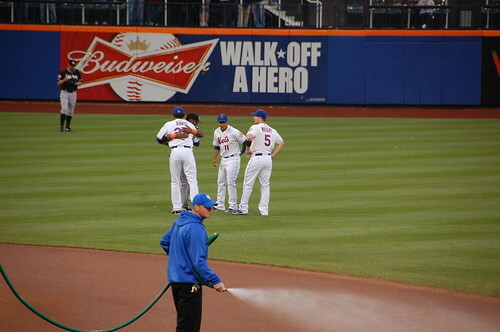 Citi was fuller than average for a Tuesday night in April, Jose Reyes or no Jose Reyes. I liked the changes to the park. I think they did a good job moving in the fence. 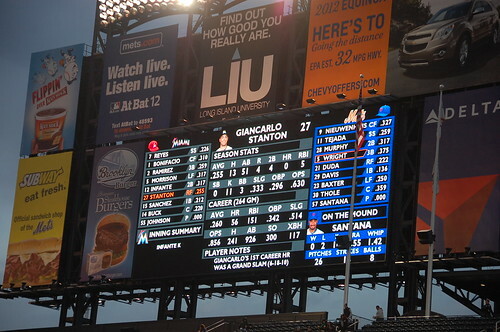 I like the new placement of the pennants, I like the new graphics on the scoreboard. Although I’m generally not a fan of sitting in the outfield, the party deck looks interesting and I think we’ll make an effort to try it out later this year. It felt good to be back at the ballpark. We are both still so angry at the organization for different, yet similar, reasons, and it was good to know that I can still come to a game and be happy sitting in between the green and the blue and just watch baseball.